Grants 500 Critical Strike for 6sec. While active, critical heals and attacks extend the duration by 2sec, up to 3 times. Just hit 100, and got the 610 weapon from the Bronze Proving grounds Garrison quest, so I checked the AH on WrA for this enchant, I found 1, it was listed for 15,000 gold. Dancing Steal was bad enough at times, I hope that trend will not continue. is this enchant better then Enchant Weapon - Dancing Steel for heirloom weapons? Why does it specify melee weapon? Are there some weapons it won't work on? Do spells trigger it, or just auto-attacks? - It can dual proc if you have it on Mainhand + Offhand. - It has no Internal Cooldown (ICD) so the buff can refresh. - Extended buff duration is only a chance on critical strikes, not 100% chance. - If you have it on both weapons and both procs are up, one critical strike can extend the duration of both buffs. Not to be confused with Jim of the Thunderlord. At this time, it will not proc from a healing spell... only damage abilities. Saw alot of people asking in Trade Channel and got wishpers from people asking why there weapon was not proccing. 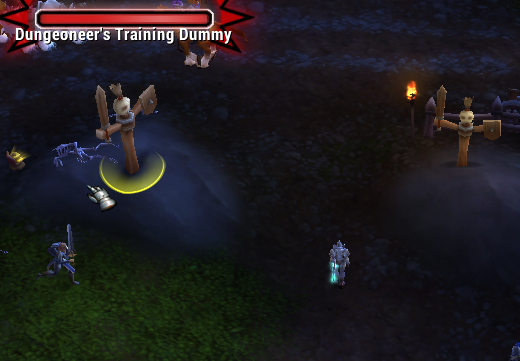 Bassicly, You need to be in combat in order to let your weapon enchant proc. 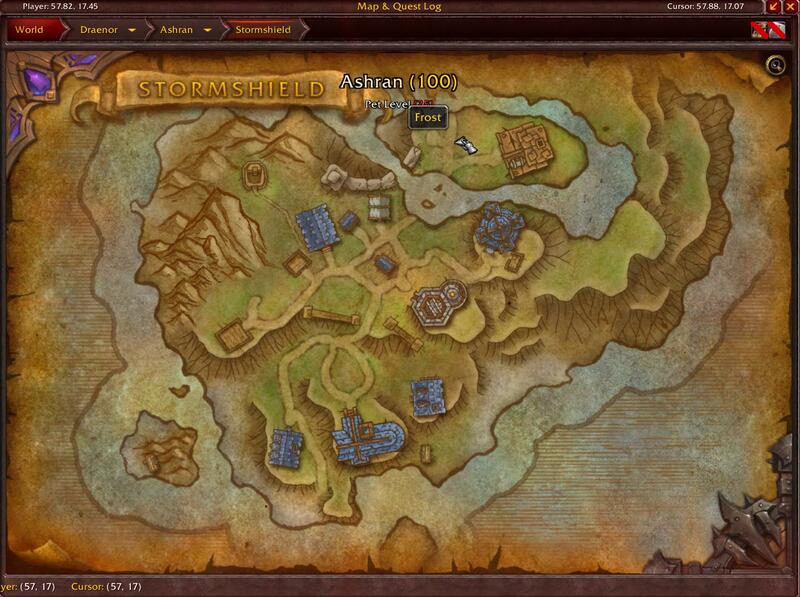 Also this is where you can test it out ill mark it on the map. or click the npc below. Despite claiming this will only work on a melee weapon, you CAN enchant a wand with it. It would appear Wands count as melee for the purposes of item enchantments. Sorry for the absurd question but, how do i get Waffe - Mal des Donnerfürsten from Mal des Donnerfürsten? I mean, i'm an enchanter with an alt and i want to send the "use" item to my main, but i can only use the enchant spell through the enchanting panel. It's possible to convert it into the "use" item? Howdy folks. I can't quite decide what enchantment to put on my Rogue's weapons. The standard seems to be Waffe - Mal des Blutenden Auges which I have been running. I don't know the internal math, but I can say I almost always have a dual proc up. Useful for sure. So first, can anybody confirm the ppm's are the same for all of the various marks? Second, if this procs the same, and is nearly full time up dual, and can extend itself, wouldn't crit be a better way for a Rogue to go? I just don't have the experience with Rogues, nor theory-crafting to decide and commit, haha. Okay, thanks for the read, and any comments. Benutzen: Eine Nahkampfwaffe dauerhaft verzaubern, sodass manchmal Euer kritischer Trefferwert 6 sec lang um 123 erhöht wird. Wenn der Effekt aktiv ist, können kritische Heilungen und Angriffe die Dauer verlängern. Kann nicht auf Gegenstände über Stufe $maxcast angewandt werden.